In a 15-year study, simple ladder missteps put more than two million Americans in the hospital—97 percent of those accidents occurred in homes or farms. 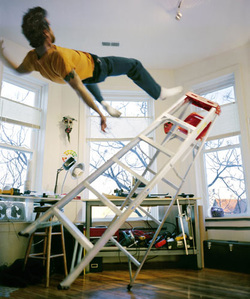 Homeowners insurance doesn’t cover members of the household in the event of an injury, so watch where you’re stepping. Protip: Make sure you take your time when using a ladder and have someone hold the frame for extra stabilization. Every year, an average of 60,000 Americans find themselves hospitalized with a saw-related injury and 4,000 go home less a few fingers. While new technology is being developed to make saw injuries as dated as the Black Plague, proper precautions should be taken before executing an amputation home improvement project. Protip: It can wait until tomorrow: 10 percent of those injured by a saw reported that they were tired and near the end of a project. With costs as high as $4,000 to have a professional remove 75 feet of unwanted bark, it comes as no surprise that some homeowners attempt to DIY a tree takedown. However, unless you’re seven feet tall and have a big blue ox, chances are you shouldn’t take the risk. 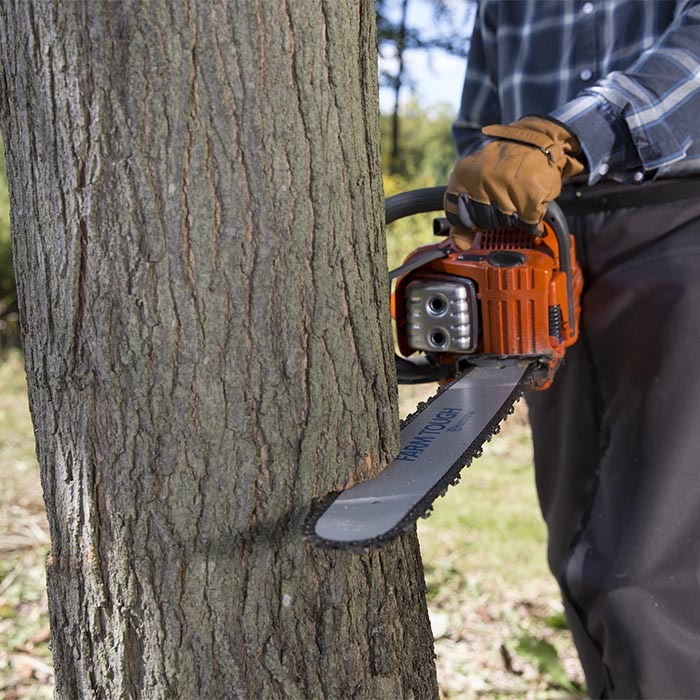 Depending on your liability coverage, a botched tree removal can leave you paying out of pocket for the resulting damage. Protip: Like skydiving, tree removal is a service you don’t want to cheap out on. Hiring a cheap set of helping hands off of Craigslist might seem like a good idea, until the help loses a hand. Contractors without any insurance for worker’s compensation will likely go after the homeowner for medical expenses incurred on the job. Many insurance companies require licensed professionals to perform work on a homeowner’s property and can therefore deny coverage to Craigslist Joe, leaving you with the bill. Protip: Saving a couple hundred bucks now isn’t worth the thousands you’d have to spend if an uninsured contractor gets injured. So you, Mr. DIY himself, just spent six months renovating every room in your house but forgot to reassess the value. Since your insurance company only knows what the house looked like pre-renovations, don’t count on receiving compensation for your improvements after mayhem strikes. Remodeling your home can easily add thousands of dollars to your home’s value, but if you don’t reassess, it could all be for nothing. Protip: Talk to your insurance company before and after you remodel.